Most animal behaviorists would probably agree that a pack of dogs pose greater risk to public safety than a single dog, particularly if these dogs were untrained, not neutered, poorly socialized, poorly supervised, inadequately contained on the property where they were kept, and possessed a breed composition suggesting that they were pit bull type dogs. This has been the fact pattern in numerous dog bite fatalities and severe dog maulings in the United States. 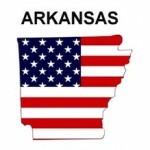 The above mentioned in fact pattern may have been present in a recent dog bite fatality that occurred in Jefferson County, Arkansas on or about March 21, 2015. This incident marks the ninth fatal dog attack in the United States for 2015. News reports at the time of this posting remained sketchy, but what is presently known is that the victim was a 36-year-old man by the name of Derek Johnson. As many as seven pitfalls may have been involved. The dogs escaped from the property of owner, John Chester Smith, by digging underneath a fence. According to an online news report dated March 21, 2015, authorities were aware of the problematic nature of the dogs because of previous complaints. Apparently, one of the pit bulls charged the patrol car of an animal control officer who was a first responder. A taser was used on the dog but this was unsuccessful (not unexpectedly because of the heightened aggressive motivational level). The dog was then shot and killed. Three other individuals from this dog pack were shot, two were captured, but one managed to escape and remains at large. The owner of these dogs may face criminal charges, the most serious possibly being that of second-degree murder. Previous dog bite fatality incidences have brought murder charges against the owner. For example, in one California case, the owner of seven pit bull type dogs was convicted of second-degree murder for an incident that happened in Little Rock, California in 2013. In this instance, a 63-year-old lady was out for her routine morning walk in a rural area and was savagely mauled and killed by a pack of roaming pit pulls. In the incident currently under review, if dog owner Derrick Johnson knew about previous complaints made by others, then from a legal perspective the likelihood increases for conviction on second degree murder charges. Prosecutors no doubt will argue that he must have known about the grave danger his dogs presented to public safety. 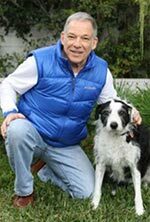 Dr. Richard Polsky is an animal behaviorist specializing in canine behavior. Dr. Polsky provides expert witness testimony and evaluation of dangerous dogs in dog bite litigation, both civil and criminal. His services are available for Arkansas dog bite attorneys.